Greengro introduces first in a series of greenhouses that offer flexible designs, automated climate control systems, and light deprivation options affordable to hobbyists and professionals alike. According to CEO James Haas, “Many states that permit legal cannabis cultivation do not allow outdoor farming. This means farmers must grow their crops in expensive indoor spaces or in greenhouses. After carefully evaluating the myriad of greenhouse kits in the marketplace we realized that our experience in designing and installing advanced grow systems positioned us very well to bring a superior line of greenhouse products to market. 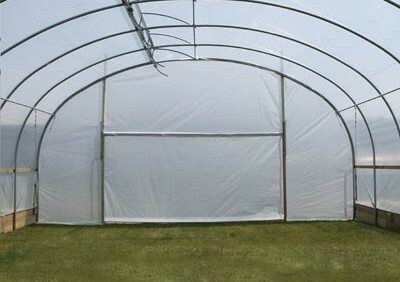 Our plans include greenhouse kits and systems with price points and options that appeal to hobbyists and large scale commercial operations alike”. In addition to off-the-shelf kits available on the company’s website, Greengro’s Vertical Hydrogarden team will offer customized design and installation services to help farmers and cultivators of any size choose the options they need and ensure integration of their existing grow systems with Greengro’s extensive line of planned greenhouses, and vertical and modular grow systems. Haas added, “farming and cultivation operations are undergoing extensive changes as a result of extreme drought, especially in the West. Our advanced cultivation systems have produced major advances in crop yields, while drastically reducing the amount of water and power required. We are confident that we can bring similar breakthroughs in greenhouse systems and quickly become a market leader”. The company’s websites www.greengrotech.com, www.verticalhydrogarden.com and www.bpgardens.com offer regular updates including educational videos, projects updates, recipes and nutritional information, and where to find the company’s products.